How darling is this ring? The eye popping color of the pink topaz is amazing. 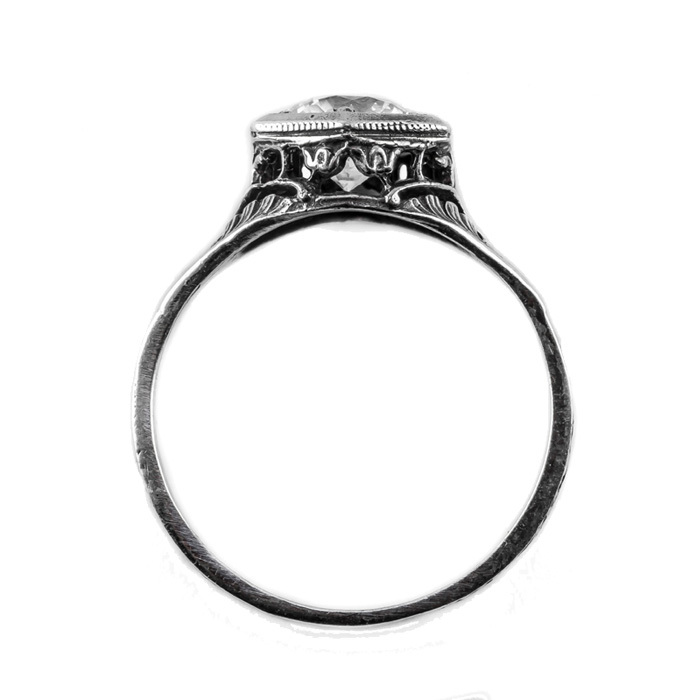 This ring could not be any more beautiful. The jewelry experts of Apples of Gold has designed a piece of jewelry that will be treasured for years to come. You will love the simplicity of the pink topaz and how it compliments the charm of the sterling silver band. 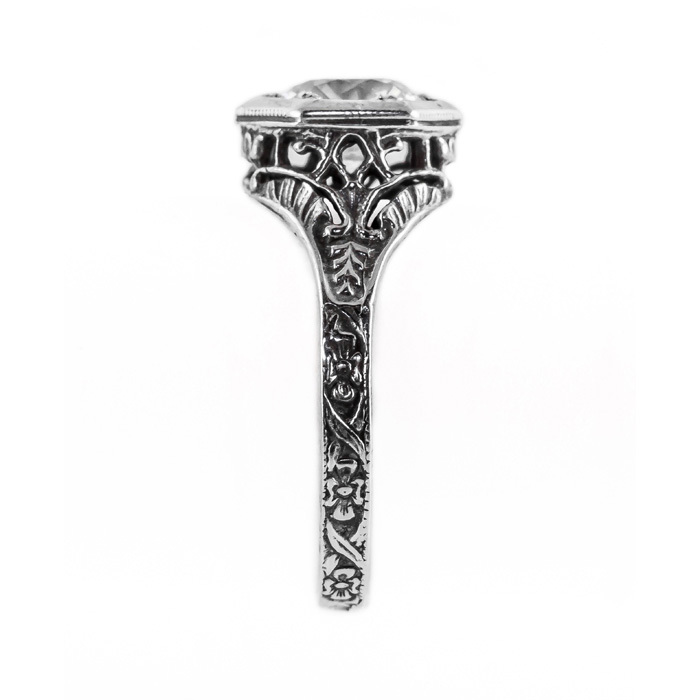 Art nouveau inspired and measuring 6.5mm, this ring has heirloom quality. If you are shopping for a gift for special woman in your life, you cannot go wrong with this pink topaz sterling silver ring. Trust us, they will love this gem! 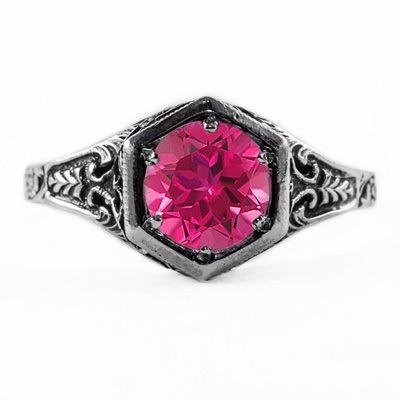 We guarantee our Art Nouveau Style Pink Topaz Ring in Sterling Silver to be high quality, authentic jewelry, as described above.